It’s does 0-to-60 mph in just 1.5 seconds! They may not have the same appeal as actual track-day racers like the Ariel Atom, BAC Mono, or KTM X-Bow, but go-karts can be as fun to drive as any of these high-priced machines, and the cost of doing so doesn’t run as high. 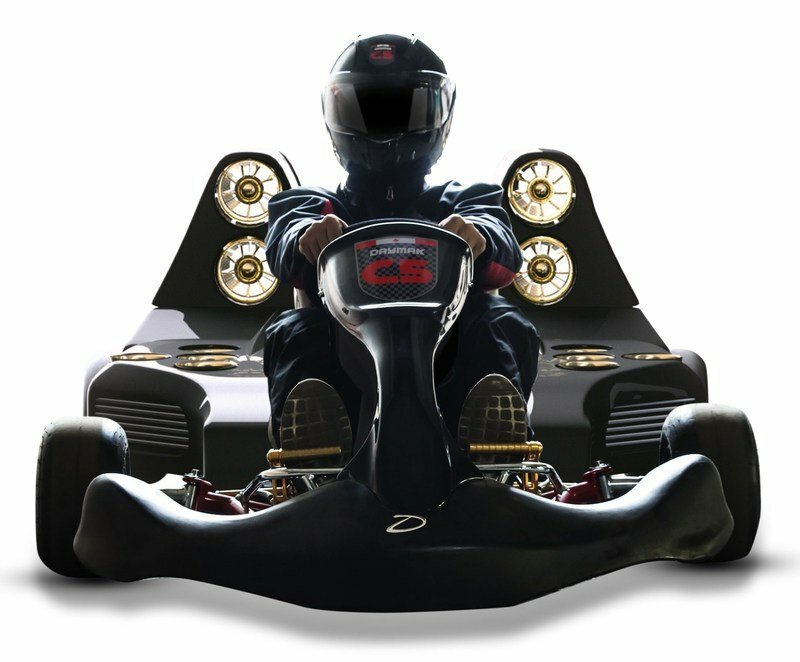 So, it’s with great excitement that I present the Daymak C5 Blast Ultimate go-kart, dubbed as the fastest of its kind in the world. So, how fast is the C5 Blast Ultimate exactly? According to its maker Daymak, the C5 Blast Ultimate can hit 60 mph in just 1.5 seconds. By comparison, the Dodge Challenger SRT Demon can cover the same ground in 2.3 seconds while the Porsche 918 Spyder can do the same in 2.4 seconds. In other words, prepare to make that Jeremy Clarkson face when you’re riding this devil of a machine. The prototype go-kart may not look like a speed demon by its appearance, but it comes with 24 kWh lithium battery that powers a 48-volt brushless DC motor and 12 (yes, 12!) - Electric Ducted Fan (EDF) motors that are each powered by a 5000mAH battery. Daymak doesn’t say how much power the powertrain releases, but if it can hit 60 mph from a standstill position faster than it takes for me to type two words from my keyboard, this go-kart is something that’s worth keeping an eye on. I know that the Daymak C5 Blast Ultimate doesn’t fall in the exact same category as the likes of the Ariel Atom, BAC Mono, and KTM X-Bow, but indulge me for a second and look at how these three racers compare to the go-kart in terms of speed. By sheer force of acceleration alone, the C5 Blast Ultimate would already be wolfing down a handful of french fries by the time the Atom 3S and Mono track cars hit 60 mph. That’s insane levels of speed that borders on actually being downright scary, especially for a car that’s as open to the elements as this go-kart. Take a look at it. There are no roll cages in there to help you when you lose control of the car. It does have hydraulic rear disc brakes to help keep the go-kart from becoming completely untameable. In case anybody’s interested in seeing for themselves how fast the C5 Blast Ultimate is, Daymak is asking $59,999 for it. That’s a lot cheaper than the $89,975 Ariel is asking for the Atom 3S here in the U.S. and the $88,000 or so KTM is asking for the X-Bow. Still, if the price is a little steep for your liking, Daymak does have a cheaper alternative in the C5 Blast Standard. It only costs $9,999, but with a 3.9-second acceleration time, it is significantly slower than its Ultimate counterpart. Then again, “slower” in this instance is a matter of semantics, because with that time, it’s still going to make your stomach turn.